Today I have a different kind of post. It’s sort of an update as to where I’ve been the past week and what I’ve been up to. 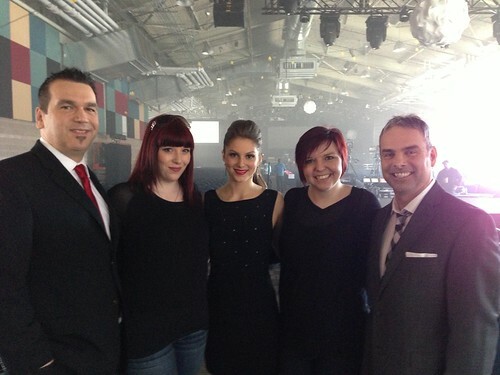 If you’re from Atlantic Canada, you’ll know about the ECMA’s and what they mean to our little neck of the woods. If you’re not, then here’s a quick run down on who they are and what they’re about. 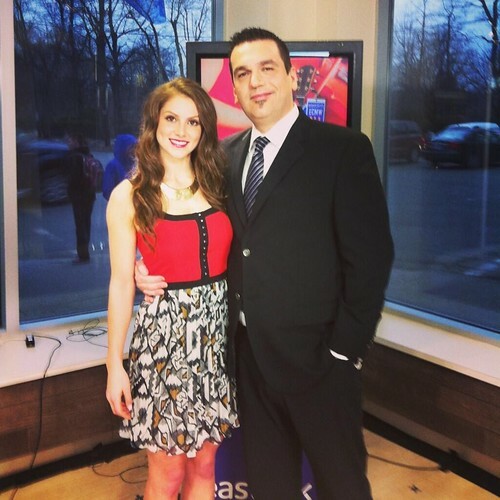 My friend and fellow makeup artist, Heather Rose of Heather Rose Makeup Artistry, was approached by local television station Eastlink to do HDTV ready makeup for their hosts and the upcoming ECMA week. 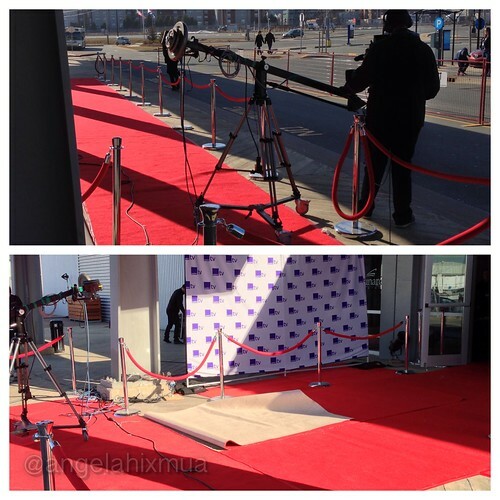 They would be doing a live half hour show for 3 days, an hour for 1 day and then live from the red carpet as artists arrived to the awards ceremony. On top of that they needed someone to do HDTV makeup for a TV show they would be filming at the beginning of the week to air in the fall. Needless to say it was booked it and a fun and crazy week would ensue. It had to be one of the best working experiences I’ve ever had. 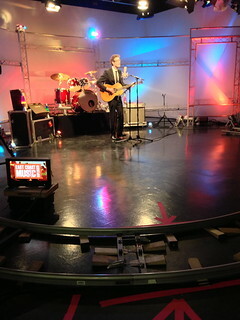 I found myself in the Sackville studio of Eastlink TV with an amazing crew filming East Coast Music Unplugged. 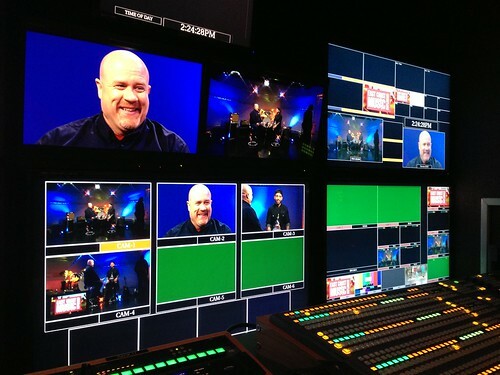 I had a blast doing the show. I did multiple male makeups one after another which I felt like I became a master at come the end of the show! 16 male makeups over 3 days. It was so much fun. Not to mention I came across a few epic beards too! I also got the chance to meet some of our amazing talanted artists here on the East coast. Artists like, Charlie A’Court, Ben Caplan, Christina Martin, Gloryhound, Tim Chaisson, David Myles and The Heavy Horses to name a few. 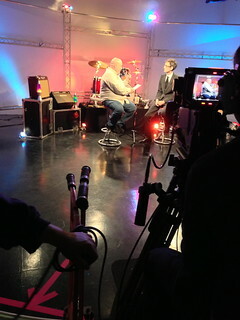 Keep an eye on my Facebook and Twitter pages for updates in the fall when the show will be airing. I promise you’ll love it! 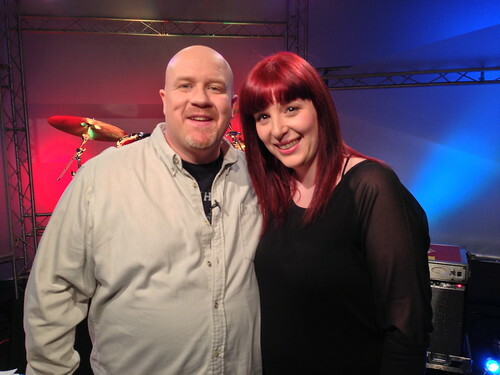 Host Darrin Harvey of 89.3 K-Rock in the Valley was our tv ost for the show and we had a blast together. Nothing brings me closer to an individual then when they express their love of anything Tolkien. 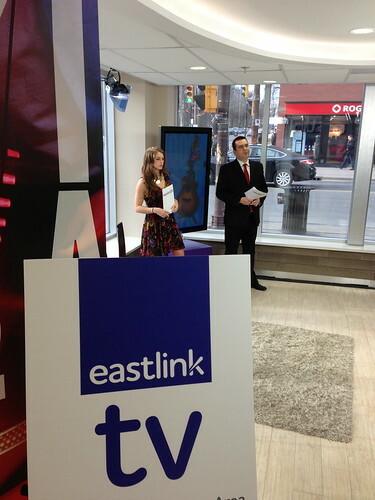 One of he best parts about these three days was working with the Eastlink production and filming crew. I truly felt welcomed and as though I was apart of the crew. Being a makeup artist on a set can be pretty lonesome if you’re the solo artist. It was a wonderful feeling relaxing between takes with the rest of the crew and being welcomed not only into the studio during filming but also into their amazing High Def super truck! aka, where the magic happens! 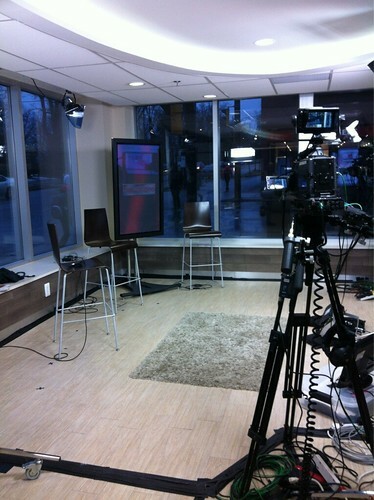 Heather and I were at the Spring and South Park Eastlink store where they were shooting a live all-access each day. 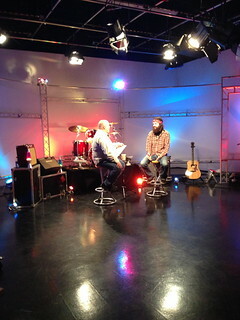 It was a great time with hosts Alex Haider and Scott Squires. Saturday we were joined by fellow co-host Matt Beadrsley fresh in from PEI. 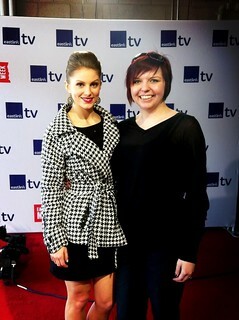 We made the trip down to the red carpet at the Cunard Centre. 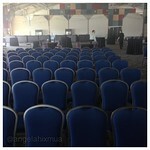 The whole centre was set up for the awards show where it would be a live broadcast. Now if you’re not familiar with the Cunard Centre it’s a verrrrrrrrry long centre. It almost feels like you’re walking the length of a football field or more walking from one end to the other. 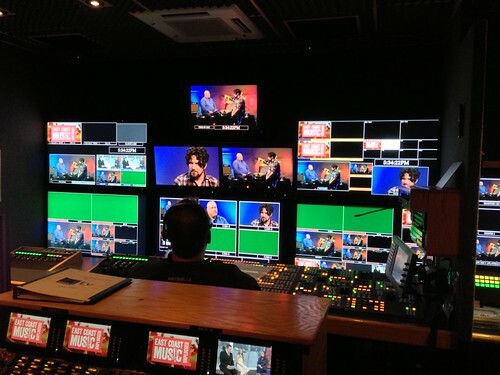 Eastlink had a lot of amazing volunteers helping out with the production for the ECMAs, even someone from across the country! It was wonderful to see a great group of people all aiming to put on the best production they possibly could and it was a great production! 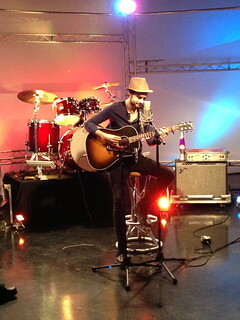 Local television for local artists hiring local people. Overall this past week has been not only crazy, but an amazing one! 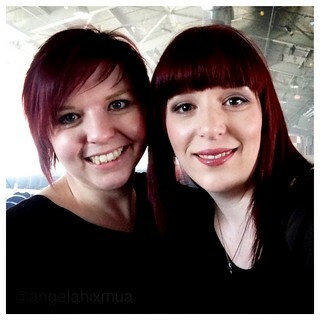 I had a blast and I know that Heather did too. 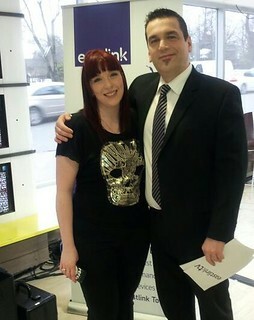 We hope to work with Eastlink again in the future. We couldn’t have asked for a better group of individuals to work with. Congrats to all the winners for the 25th anniversary of the ECMAs this year! Until next year, keep on rocking on the East Coast!